A while back, my therapist asked, “Do you think Heather will love you, regardless of whether you’re actively contributing to the relationship?”. I told him I wasn’t sure, cause I was still trying to understand the concept of unconditional love. As a child, my parents told me they wouldn’t love me if I wasn’t a good boy, and a good boy would do exactly what they wanted. The affection they doled out was directly related to how well I did in school, or how much I impressed other parents. They used it as a tool to control me, and this dynamic has influenced my understanding of relationships to the point that it feels like I constantly need to be making efforts in them (or they’ll decay). So my therapist instead posed the question, “Do you think Heather will love you, no matter what?”. My first reaction was one of confusion; I heard the same question as before. When I realized it had completely different implications — would Heather still love me if I was an axe murderer; if I was racist; if I burned the house down; if I didn’t love her back — it dawned on me that I was projecting this monumental requirement on myself to be constantly making efforts towards the relationship. It wasn’t an expectation Heather was bringing, but my own; one I projected on her due to my childhood trauma. 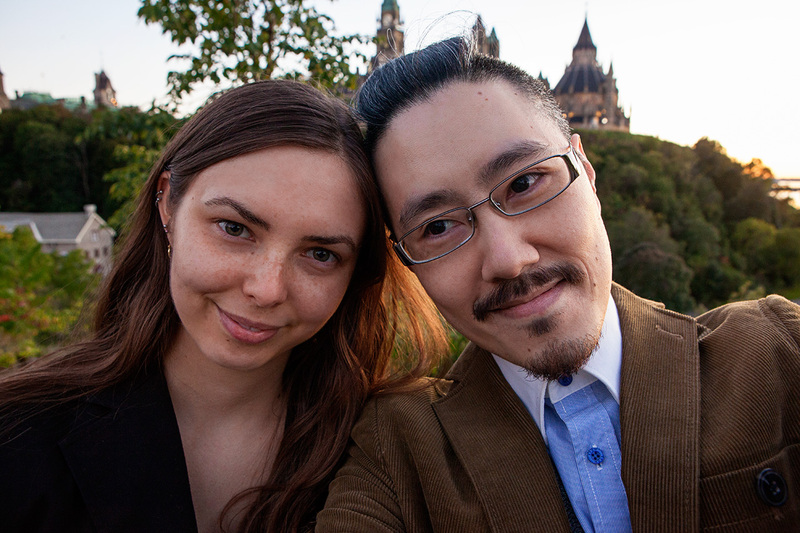 My three-year anniversary with Heather came and went without fanfare or ceremony (or even notice, on my part). Our time together went by in a blink; being chronically single for me, and trapped in an abusive relationship for her, made the three years prior to that feel like an eternity by comparison for each of us. It was only halfway through that I realized part of me was keeping her at a significant distance. When we first started spending time together, I was drawn most to her innocence. The way she viewed the world with an open mind1 made me feel comfortable in a way I immediately found attractive. I could tell her calm demeanour belied a darkness though; she knew a tremendous amount of pain in her short life, and that made her the same kind of old soul as me. Still, I never dared imagine things may work out between us, cause my previous lover was completely unexpected in both the coming and going, and the experience left me raw. Somewhat conversely, I was also too numb to believe anything was real. It was only a couple weeks after Heather entered my life that I tried to hang myself, and surviving meant everything felt posthumous.